Everyone has heard of B&B’s (bed and breakfasts), right? Airbnb is a slightly different twist on that concept with individuals renting out their homes. 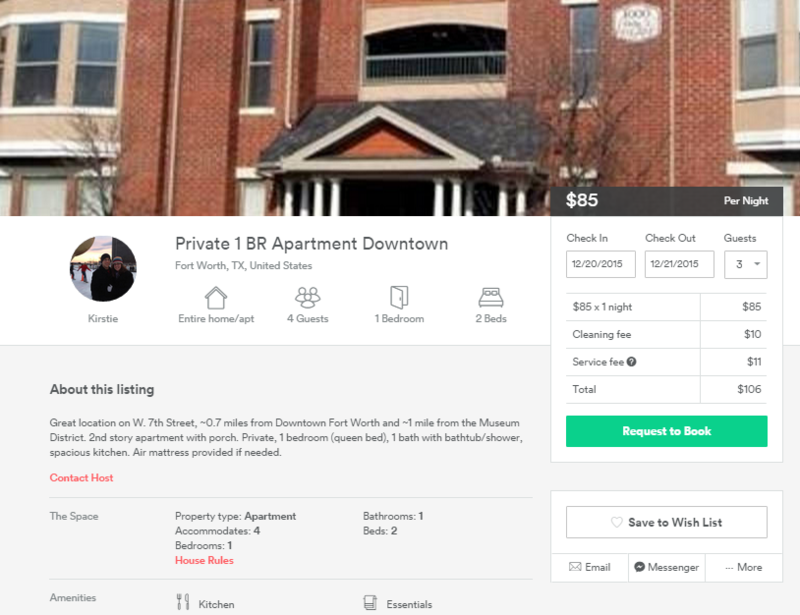 Airbnb is self-described as “an online marketplace (aka website) for vacation rentals that connects users with property to rent (aka Hosts) with users looking to rent the space (aka Guests)”. Both the Hosts and Guests make accounts with profiles and the site acts as a bridge to directly connect Hosts to Guests. 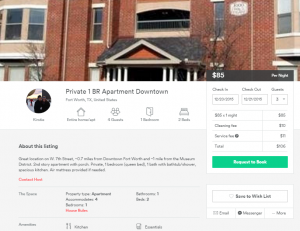 Host profiles describe the homes they are looking to rent including pictures, location, pricing, availability, house rules, and a little bit about themselves. 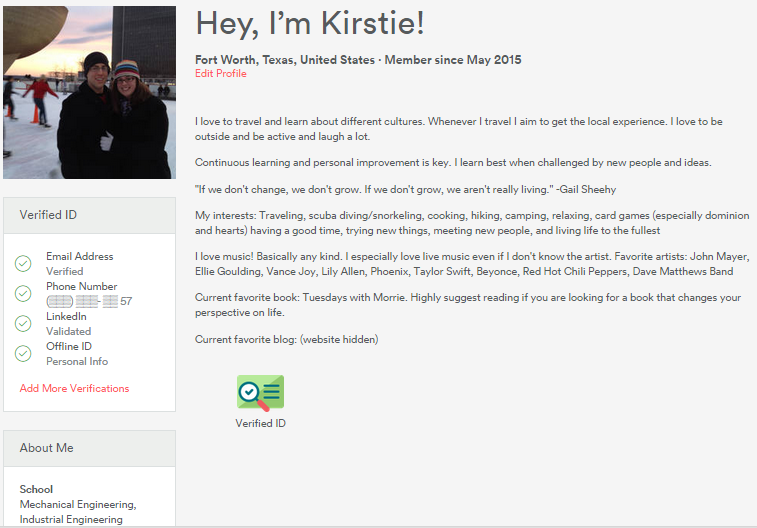 Guest profiles describe themselves including a picture, age, home location, favorite travel destinations, travel style, and any other random facts. Airbnb is built on relationships; a detailed profile helps the Host and Guest get to know each other better and feel more comfortable with the transaction. Both profiles also include reviews from previous hosts/guests so there is real time feedback on what the experience is like to either have this person in your home or be the person renting the space. Airbnb lodging tends to have a very comfortable, homey environment with everything your normal home has because it actually is someone else’s home! This includes a kitchen, living area, bathroom, bedroom, etc. It allows for freedom to come and go as you please since you have your own key to the place. From experience, it is a great option if you are with a large group that wants a common home base. My 3 siblings and I recently did this when we were in Edinburgh, Scotland for my cousin’s wedding. We were able to rent a 2 bedroom flat about a 10 minute walk from downtown for half the price of hotels in the same area. It was great to have our own kitchen to cut down on food costs by eating easy meals at home (think bananas/scrambled eggs/coffee at home for breakfast and a place to store snacks). I highly recommend checking out Airbnb if you’re looking for a change from the hotel scene, but want the same level of comfort and privacy. Note that there are different types of lodging within Airbnb so choose accordingly depending on your desired privacy level. The types are: shared rooms (roommate situation – shared with the host or another guest), private rooms (housemate situation – room is just for you, but the bathroom/living space are shared), and entire house/apartment (solo situation – you have the whole place to yourself). If you haven’t tried Airbnb yet, click here to set up your profile and receive a $20 credit (this link also gives us a $20 credit). Fully fill out your profile and verify your ID to have the best chances of finding a place. Hosts want to rent to someone they feel they know and can trust. Your profile is the way you show them you are a responsible person who won’t trash their home. When selecting a place to stay, do your homework. 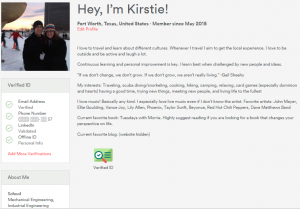 Read the Host’s entire profile, look at all of the photos, read the reviews, research the location & be aware of hidden fees (cleaning fees, late night check-in, etc.). Leave the place as spotless as you found it (if not cleaner!). When you meet the Host, pick their brain about the area. Hosts are a great resource to learn about hidden gems in the area that only locals know about. Still feeling eager to learn more? Check out some other hotel alternatives I’ve experienced.